Woody Frames sunglasses was formed to offer the best of a modern and rustic flair for those who enjoy being under the sun. 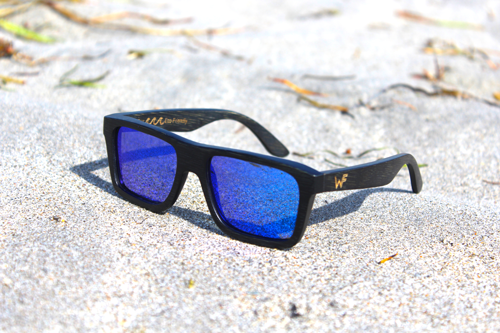 Woody Frames sunglasses are made out of 100% natural bamboo and float in the water! Click here to view all floating styles! Subscribe for specials & more! Eyewear for every outdoor enthusiast! All Woody Frames sunglasses are made out of 100% natural bamboo. A single bamboo can grow up to 4 feet in just one day! Bamboo is also 100% biodegradable. Bamboo requires no pesticides and very little water while harvesting. All Woody Frames sunglasses float in the water! Our sunglasses are able to float in the water due to being made out of 100% bamboo. The use of bamboo as the primary composition of our frames make them extremely lightweight, even while wearing them! We take great pride in providing our customers and non-customers with the highest quality of support, service and communication. Our goal is to make everyone feel like a VIP customer! We strive for 100% customer satisfaction, every time. Making customers happy one frame at a time! I love nature, Woody Frames is made out of bamboo, and I support our environment. Besides the fact that these sun glasses are made eco friendly. I admire that they float, and in all situations. They have been with me surfing, swimming, and hanging around. Through my rugged adventures they did its job. Woody Frames has held up to the standard that I expected out of these stellar sunglasses, and would recommend them to my family members.